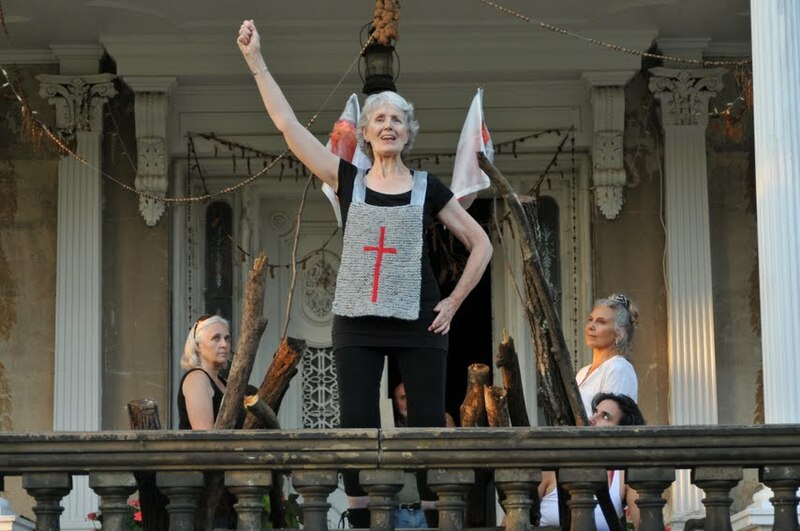 RHINEBECK, NY, August 12, 2012 – SHIFT: A Path, A Pilgrimage, and a Lot of Strange Transformations Along the Way, a wonderfully bizarre performance piece, will take place outdoors at historic Rokeby Mansion (on River Road in Barrytown one driveway north of Poets Walk) at 7pm on Friday August 24 and Saturday August 25, brought to you by Cait Johnson and Friends. Following the smash success of Love & Madness, a surreal performance piece performed this past November, also at Rokeby, Johnson and Friends have devised this pilgrimage around the grounds, inspired by medieval passion plays where the audience walked from scene to scene. The piece offers a Satyr, a Flying Child, a Geisha, Joan of Arc, a Deer-Headed Shaman, three Moons, and more, along with live music, dancing, singing, and an opportunity for audience members to make their very own transformation. $10 suggested donation. All proceeds to benefit the Rokeby estate. Contact: Cait Johnson: caitpjohnson@gmail.com 845-876-0449.